Each year, it seems, Christmas grows more consumeristic – the latest video games, the season’s fleeting fads, the ‘must-have’ lists… And each year Christmas loses a bit of its true meaning - coming together. Once we forget about such traditions, what’s left to Christmas? One of Thalys’s daily missions is to reunite people - from Amsterdam to Paris, Cologne to Brussels, and this year, Thalys wants to bring that spirit back into the holidays. 'What if the Best Present Was You?' is an enchanting stroll from Anvers to Paris in which we follow the incredible voyage of the meticulously dressed ‘present man’ as he heads home for the holidays. The online film features all of the hallmark charm found in Thalys’s recent campaigns (Scents of the City and Sounds of the City), set to a sweet, light-hearted ballad. 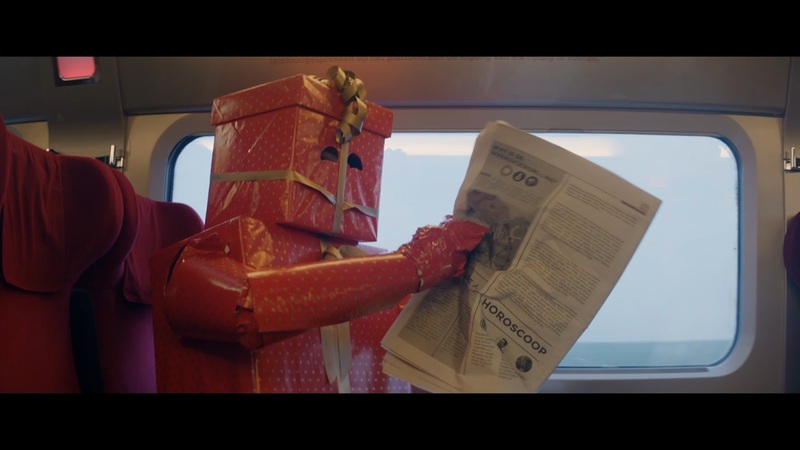 A modern holiday card from Thalys and its agency Rosapark, 'What if the Best Present Was You?' introduces a new Christmas story, one that will resonate in the hearts in all of us grown-up kids. CAMPAIGN TITLE : WHAT IF THE BEST PRESENT WAS YOU?